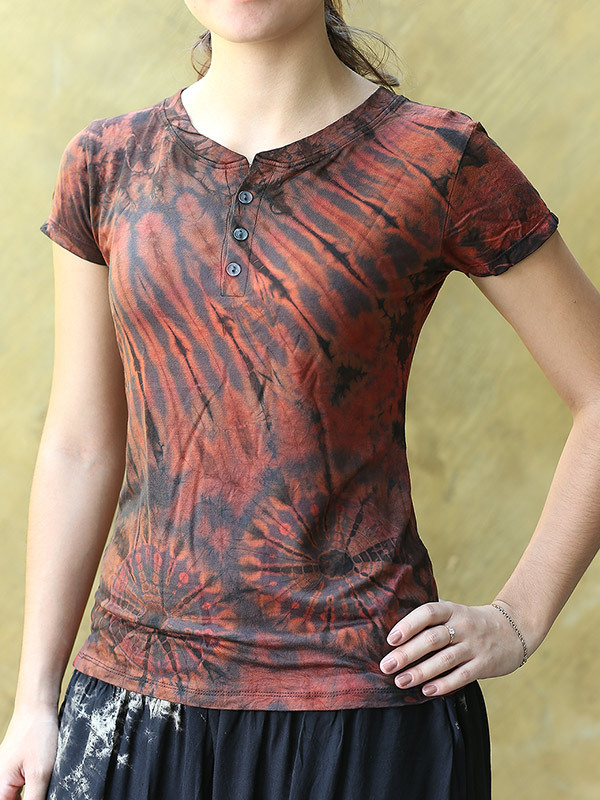 Classic Henley button-front collar in supple rayon with tie-dye design. I have always been pleased with every order from Eastern Serenity, including this piece. The style and fabrics are beautiful. Thank you so much. .